This is Episode One hundred and thirty one of our beekeeping show. 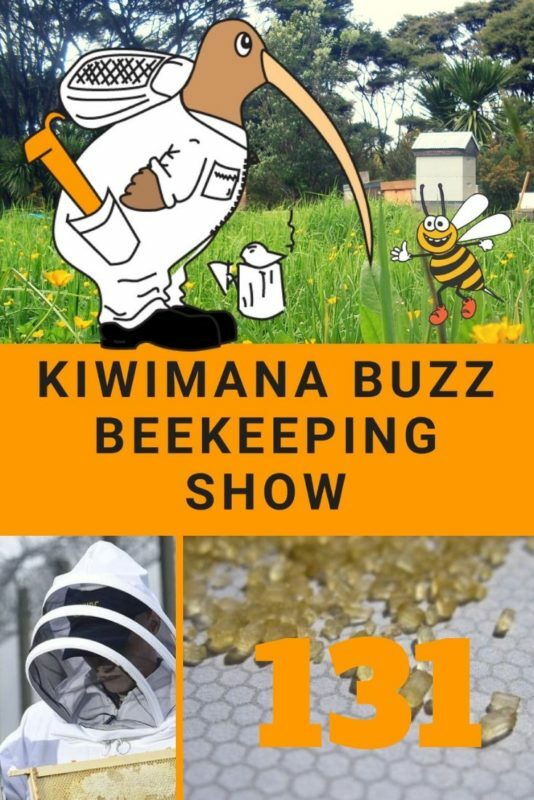 kiwimana is a place where the beekeeping community can share a conversation and connect and in this episode we are talking about Beekeeping in a Belfast prison, A famous Beekeeping Author has passed away, What kind of Sugar is good for bees and Roving Reporters from around the world. 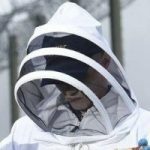 ..we also – as if that wasn’t enough – build and sell beekeeping supplies, we teach beginner Beekeepers and provide beekeeper services and advice. And we are the “beesknees” Club, Facebook group. It's Summer in New Zealand!!! 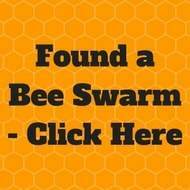 What has been happening in the weather?..and this means the bees are dealing with…!!! 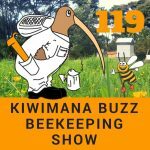 Nick Wallingford has agreed to let us release his 2006 show – The way we used to bee, a podcast series about the history of New Zealand beekeeping. Merry Christmas – Thoughts for year? Checking cells in the older queen colonies and have found some varroa in the drone cells so OAV Treatment cycle planned in-line with eggs ie: do my timing from eggs= treat 2x till capped then wait 2 weeks and treat 2x til hatched – this requires taking notes so you know when you have to treat. Beginner Kits – built woodware, oiled and set-up in apiary – moved half into langstroth single full depth hive set-ups and also growing fast due to this extraordinary weather with what is resulting huge nectar collection and capping of honey – so it’s kiwimana crazy banaNas buzz ! AFB – DECA work for customers finished with only 1 case of AFB identified so overall good result. Follow Weronika’s Adventures HERE on Instagram. Local climates can vary so this risk can affect some areas more than others – what is this risk ? If these 4 things are going on in a season, the risk of Tutin poisoning is a high risk. What is tutu bush ? 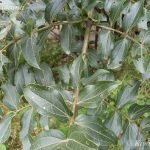 This is a native New Zealand plant. 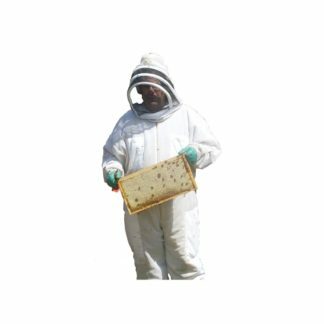 Take honey off before 31st December after this date means – If you sell honey or honey-comb – you must get your honey “Tutin tested”, Tutin toxin when present in honey is poisonous to humans not Bees – cut comb made from ross-rounds poses a higher risk. 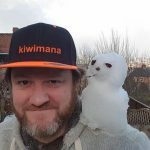 We also want to do a shout out to Gudny Hunter – not only is she a supporter through Patreon, she supports us by purchasing our locally sourced / produced products, and volunteers help in the workshop and Apiary. 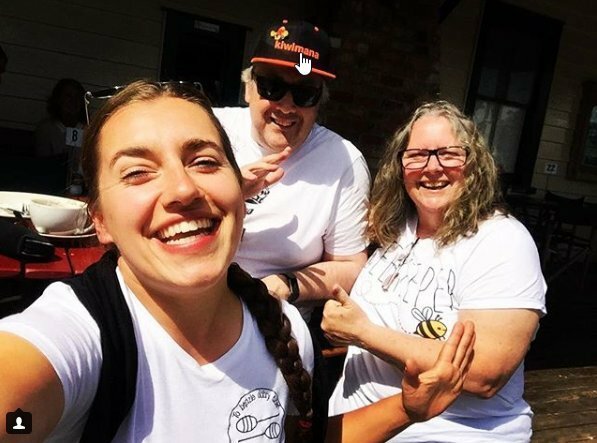 It's support from folks like Greg and Gudny that inspires us to keep up creating content, motivates us to produce our own products and promote locally made products and support and teach our local beginner beekeepers. Yolanda lost her voice, but has sent in this report from the field. Yolybear from Toronto Ontario Canada reported in despite losing her voice!!!! Chris Brown Roving report from a pub in Britmana/Sheffield in the UK. most swarms have settled into strong brood patterns, building up well with folks doing swarm catching, then on-selling our advice is to check before pick up and ensure there is healthy capped brood which has been AFB checked by a DECA certified beekeeper or a beekeeper who can give you a copy of the Annual certificate of inspection which has been signed-off by a DECA certified beekeeper – our top priority is managing space now that all our queens are all mated or what we call queen right. 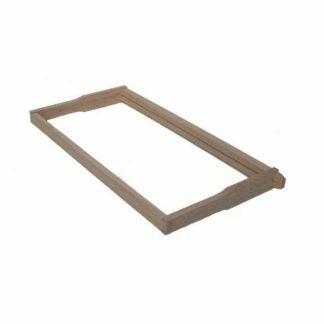 This includes keeping an eye on nectar levels and manipulating the frames for maximum drawing of comb. 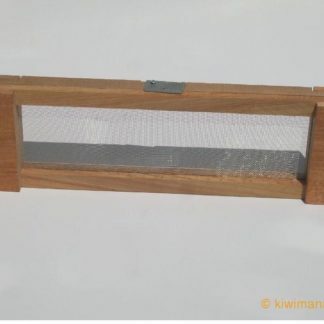 Advice is not to add too much space too quickly so it encourages capping of honey but this method requires regular monitoring so as not to risk your colony absconding. 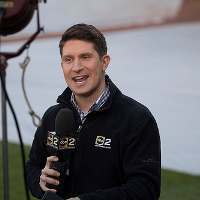 Chris Brown our UK roving reporter has updated for Sheffield . 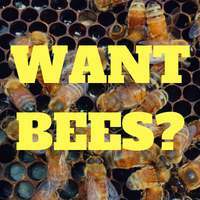 Is Roundup Safe Around Bees? 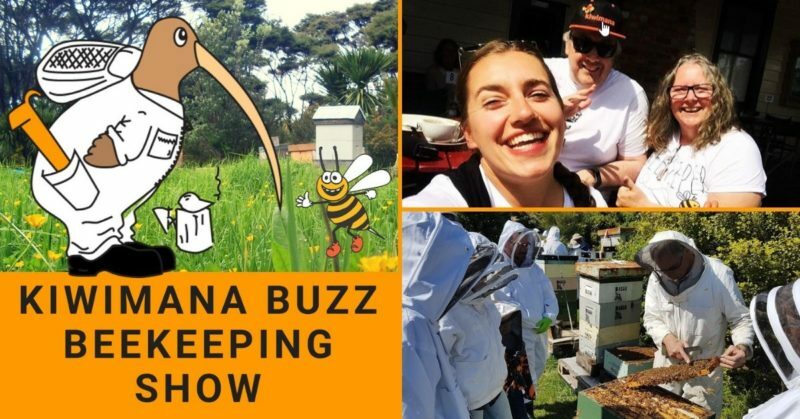 Like lots of communities around the world, government agencies are hoping to help those who have crossed the line and been put in prison, by creating this new buzz, working on bees together is breaking down some barriers and offering new opportunities. There’s a buzz around Hydebank Wood Prison these days, with beekeeping now a popular pastime. 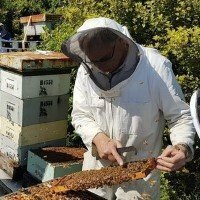 A novel scheme, introduced to the Belfast jail in conjunction with the Ulster Beekeepers Association, started with a couple of hives and has proved a big hit with prisoners and staff. Hydebank is unique because no other detention centre in the UK or Ireland houses both adult women (there were 61 female residents on Tuesday) and young offenders, 99 of them, who have been sentenced or are on remand. 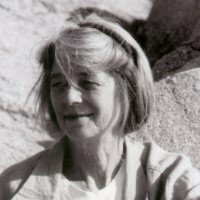 Sad to report that author and beekeeper “Sue Hubbell” has passed away at age 83 in Maine. 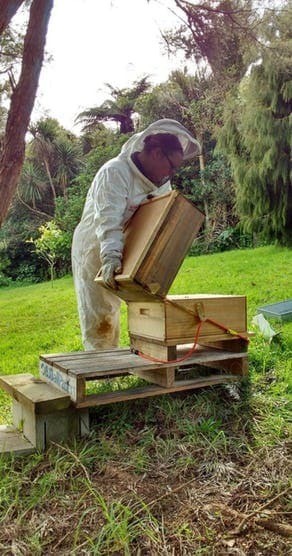 One of her famous beekeeper Books was “A Book of Bees”. She also did a book on finding the best piece of pie on highway 60. I like pulling on a baggy bee suit, forgetting myself and getting as close to the bees' lives as they will let me, remembering in the process that there is more to life than the merely human. 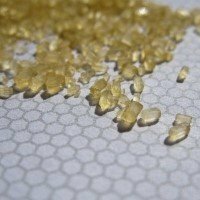 But it’s important to realise that there are many things that can impact why a beekeeper would ‘want’ or needs to feed Honey Bees sugar-syrup. Desperate measures or lazy, greedy beekeeper ? So….Why not just save honey for your girls? A flower map of New Zealand, good idea? The Changing world podcast reported about it. 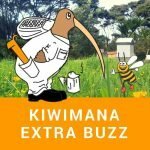 As beehive numbers continue to skyrocket off the back of the mānuka honey boom, scientists, iwi and industry groups are coming together to study the honey-producing potential of New Zealand’s native vegetation. 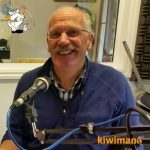 We recommend you click on the link below and listen to the full show. We heard from Marlon in sunny Jamaica. YolyBear eat new podcast from Ontario Canada. Yolanda has a new podcast and wrote to us to say she loves our podcast and we give her the confidence to do her show, she has learnt lots for our show and our awesome guests, yay Bananas!! This week we are talking about Jars of Honey selling for $1800 and why Mad Honey isn’t a great Christmas Present. The bonus show is for our supporters.